Maintaining an office is costly. Overhead expenses are a major concern, and basic equipment—such as printers and copiers—can add to your spending. Multifunction printers (MFPs) slash equipment costs and bring you a number of surprising additional advantages. An MFP is a device that combines the functions of printing, copying, scanning, and faxing into one piece of equipment. There’s no denying the convenience of an all-in-one machine, but what exactly are the key advantages of multifunction printers? Consolidating devices is a great way to save on electricity consumption. 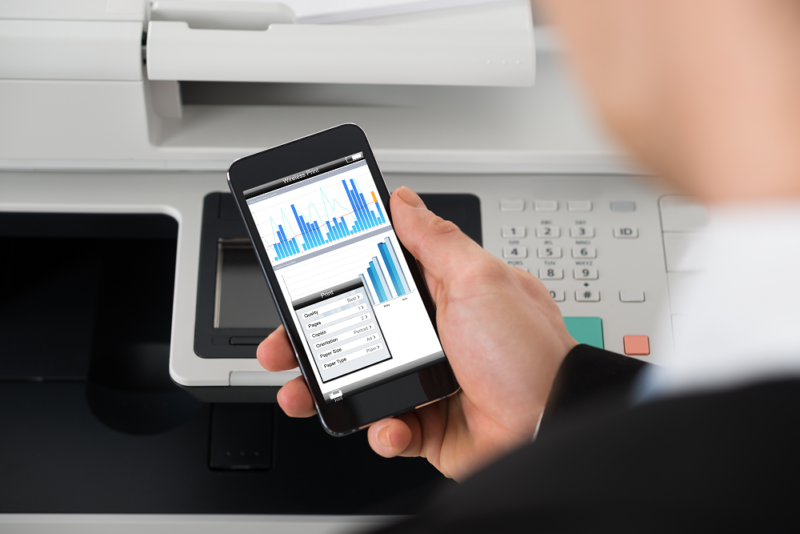 A single MFP draws much less power throughout a day than multiple devices for each distinct function. Leaving a device plugged into an outlet to be used at any time slowly drains electricity. While it may seem like a small amount of power, printing devices can consume an impressive amount while remaining passive. Having a separate device for each function means that you’ll have multiple devices on standby. If your devices are left in standby mode overnight, then savings will quickly accumulate by switching to a single multifunction printer. When all of your print and copy and imaging functions are combined into a single device, it lowers the overall cost of operation (in addition to lowering the electric bill). This is because it is rare for every device to receive equal use. For example, a dedicated fax machine and separate copier will almost always cost more when examining the Total Cost of Ownership (TCO) than a single device that provides both functions. Consider the simple fact that you simply need one toner for an MFP rather than individual consumables for separate devices. An MFP, therefore, is an easy way to cut equipment costs. In general, print-related tasks can be bundled. A job that involves copying may also involve scanning, for example. Multifunction printers encourage employees to group tasks and reduce the amount of time spent with the equipment. This helps improve workflow and saves additional money through improved labor efficiency. There is no question that MFPs are convenient and offer ample opportunities to save costs. As always, there is a catch. These devices are more complicated to service than their dedicated counterparts, and that can make repair and maintenance more involved and potentially more expensive. You can get ahead of these problems by utilizing expert Managed Print Services. With included routine and preventive maintenance and monitoring, these services combined with a reliable multifunction printer could be the solution your business has been looking for! Contact Modern Office Methods today to purchase a reliable MFP or learn more about Managed Print Services.